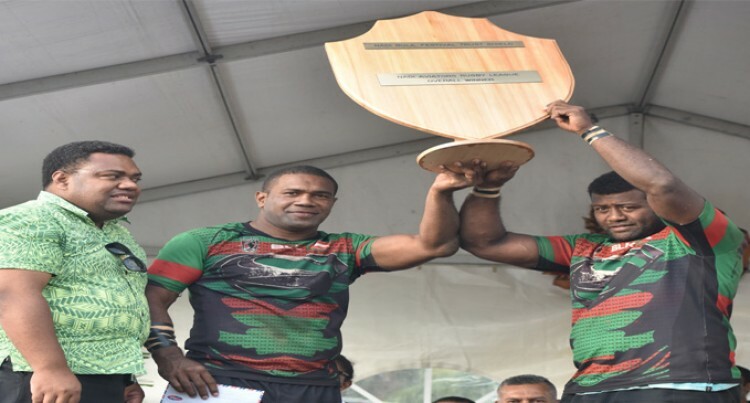 Ravoravo Rabbitohs won the Nadi Aviators zone after defeating Nadi Eels 18-12 in the final at the AFL grounds, Nadi yesterday. The Eels started the first 40 minutes well with winger Sakiusa Davetawaqa scoring a double while Etonia Moitoga scored Rabbitohs lone try in the first half and was converted by Timoci Namotukula. Eels led 8-6 at half time. The Sabeto based-side having the likes of former Fiji Bati rep Tikiko Noke gained momentum in the second half putting the Eels under immense pressure which saw Namotukula being successful with a penalty. The Eels regrouped and scored their third try through James Dakuliga beating the opponent’s backline. The Rabbitohs did not give up as they continue to fight back and scored their second and third try through Josateki Sovau and Noke while Namotukula was successful with a conversion. Rabbitohs head coach Sitiveni Vuniyaya said despite being down by two points in the first half he reminded his players to trust in themselves. “Thank God for the victory, the boys believed in themselves and were confident,” Vuniyaya said. Nadi Eels head coach Jeremaia Dakuliga admitted that they did not perform to their best. “We didn’t play to the full 80 minutes and there is so much we’ve to improve on when moving forward,” Dakuliga said. In the Reserve grade Ravoravo Rabbitohs beat Sabeto Roosters 18-6, in the Under-18 grade West Storm edged out Sabeto Roosters 14-8 and in the U16 grade West Dolphin walloped West Storm 24-4.